Today’s landscape is one in which musical lines have blurred. Genre mashups in which rockers inject their songs with EDM, rap or acoustic folk elements are commonplace. Conversely, hip-hop and neo-soul artists routinely weave rock threads into their work. Of course, there’s nothing really new about that. When Run-D.M.C. covered Aerosmith’s “Walk This Way” back in 1986, it barely raised an eyebrow. But what about classical music? Can your new band get away with merging metal and Mozart? We asked for insights and advice from six successful musicians who have found ways to infuse classical and symphonic sounds into their modern projects. John Elefante’s international musical career skyrocketed in 1981, when he prevailed over competitors like Sammy Hagar to become the new lead singer and keyboardist for the supergroup Kansas. Later in his career Elefante went on to massive production success, founding the famed Sound Kitchen recording studios in Nashville and collaborating on more than 100 albums with artists like Tim Mcgraw, Faith Hill, Bruce Springsteen, Brooks & Dunn and many others. He’s produced megahits for the Christian rock group Petra and is credited with helping to move contemporary Christian music into the mainstream. 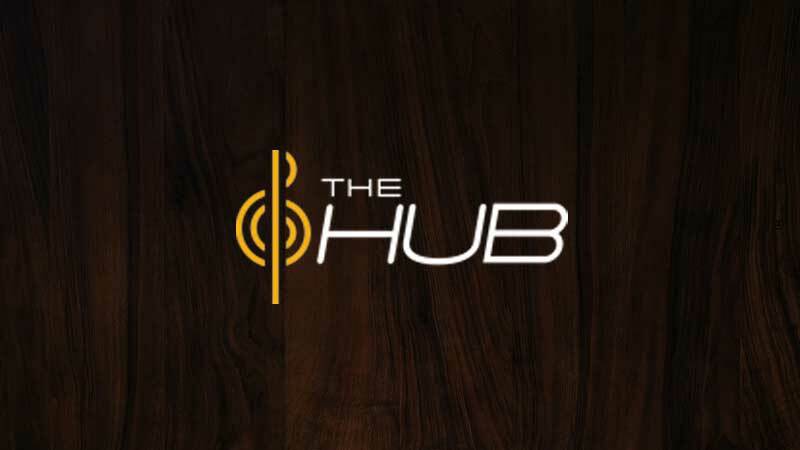 His albums have garnered massive recognition, including numerous Dove Awards, four Grammy Awards, and 10 Grammy nominations. He says classical instruments and sounds play a crucial role in his work. I don’t read music, but I constantly hear moving orchestration in many of the songs I write. Sometimes a good simulated orchestral patch on a synth will slot in nicely, but there are times when you just have to have the real thing. Instinct is usually my guide. Boasting a unique sound that blends cerebral songwriting and classical instrumentation, The Speedbumps won an Independent Music Award in 2014 for their song “I Come From a Town.” Upright and electric bass player Kevin Martinez, who has a master’s degree in music composition, once spent nine months collaborating with The Canton Symphony Orchestra for joint performance of The Speedbumps’ songs at the historical Canton Palace Theatre. Martinez says the band calls upon classical style on every project. It’s really inherent in our music since we feature a cello in our core group. It is the lead non-vocal piece of the group, and (cellist Sam Kristoff’s) sense of melody and tone lends an orchestral tinge to the flavor of all our music. On our two latest records, the newest of which will be released on April 21st, we have hired talented violinists and violists to add layers on certain songs as well. Finnish metal masters Amberian Dawn describe their style as “symphonic metal,” combining technical mastery with dark, romantic storytelling to produce a trademark sound. in 2014 they released their new album, Magic Forest, through Napalm Records. Tuomas Seppälä is the founding member of the band and plays keyboards and guitar, while also composing all of Amberian Dawn’s songs and arrangements. He says experimenting outside of his classical training and blending symphonic sound with metal has always been a passion. I started to study classical music and playing piano at the age of five. That’s why I’m a kind of a mixture of a classical composer of old times and rock musician of today. But I also don’t have any goals when I start working with a new song. The composing process flows on and the end result might be symphonic, or not. I don’t decide to write a symphonic song, or a power-metal song for example. The song kinds of writes itself when I start composing. After parting ways with their label, Dutch metal band Stream of Passion managed to raise more than $50,000 from fan sourcing to fund their upcoming album A War of Our Own. Marcela Bovio, lead vocalist and violinist, began taking lessons in flute and music theory at the age of six. She says that being freed from the record company’s expectations—and the unquestioning support of the fans who came together to finance the new composition—gave her the freedom she needed to explore. But she’s always relied on her classical training to add depth to her band’s sound. We’ve made a string section and classical piano an integral part of our sound. When we’re writing the songs we always add arrangements for strings and piano to go along the heavy guitars and drums; it adds an extra layer of depth to the songs, as well as a very dramatic feeling. Modern technology brings classical sound temptingly within reach. Some of the artists we spoke to incorporate entire simulated symphonic orchestras while others hone in on one orchestral section. The term “classical” is pretty broad, and an orchestra is an awfully large thing to take on the road. We asked our musicians if they were partial to a particular orchestral sound. Described as a modern-day renaissance man and an all-in-one musical anomaly, Avery Watts’ music has been featured in motion pictures and video games, and heard in stadiums around America. Lebron Jones has been known to amp himself up before games with tracks from Avery’s 2014 album The Takeover, which broke into the Top 20 charts in Europe. You can download his latest single, “Here to Stay,” for free. He plays each instrument in his arrangements, layering them together into a unique sound that touches on rock, metal, and contemporary while revealing his love of all things orchestral. I tend to rely heavily on the string section of the orchestra for my main melodies and sonic layers. Primarily violins, violas, and cellos. I’ll use a double bass if the strings are by themselves in portions of a mix, but most of the time it interferes with the bass guitar and bass drum in a rock context. Secondly, I’ll implement orchestral percussion such as timpanis, taiko drums, concert toms and anything else that goes boom in the night. 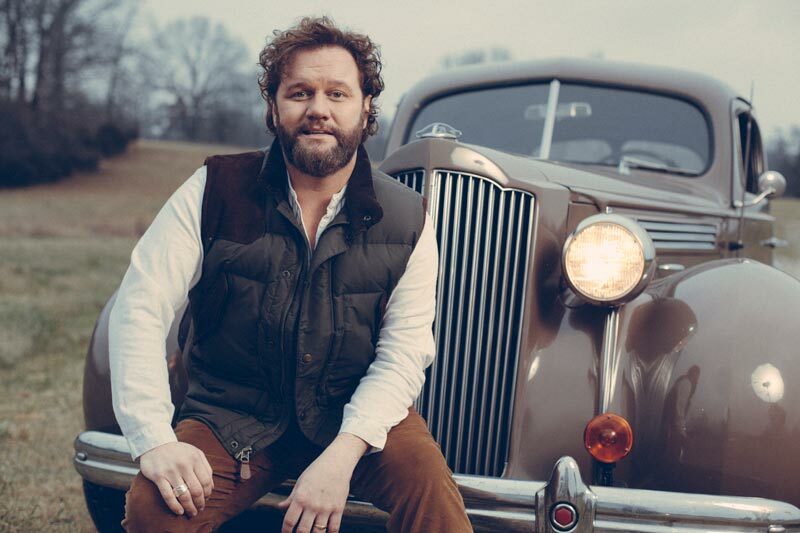 Once a childhood musical prodigy who earned widespread acclaim in Christian music circles, David Phelps went on to earn a bachelor’s degree in music from Baylor University and become a nationally celebrated vocalist. Perhaps best known as the powerful tenor in the multiple Grammy- and Dove Award-winning Gaither Vocal Band, Phelps is constantly building on a career that has already been groundbreaking. Emerging as a leading voice in contemporary Christian music, Phelps has a hard time selecting just one orchestral section for his works. Generally, I try to add what I feel the song needs. Some songs just need strings on top of the rhythm section while others call for a full orchestra. Production choices are largely about the taste and predetermined direction of the producer and artist. I will usually use a string section about 13 piece depending on the budget. I start by playing the parts on a synth, then passing it off to an arranger who can chart my thoughts and expand on them with their own ideas, and then comes the magic. There is nothing like hearing for the first time what you’ve been hearing in your head with the real thing! Born and raised in the tiny town of Canton, NC, Tim Surrett jumped on a bus as soon as he graduated high school to embark on a remarkable musical career. He was inducted into the Southern Gospel Hall of Fame as a member of The Kingsmen. Today he sings and plays a variety of strings with Balsam Range, the 2014 IBMA Entertainer of the Year and Vocal Group of the Year. Though bluegrass may seem like a stretch for classical inspirations, he recognizes the classical influences of all the bands that inspire him. I grew up in the classically influenced rock era, so that sound and the “bigness” of it has always appealed to me. Kansas, the Moody Blues, Styx, Rush, ELO, all these bands with that huge sound were my favorites growing up. They still are today. Elements of that sound creep into our bluegrass from time to time, and that rock music itself was certainly touched by orchestral influence. Kevin Martinez says The Speedbumps are inspired by the orchestral collaborations of Nick Drake. When writing the group’s orchestrations, Martinez finds his muse in the recordings of Paul Simon, Rufus Wainwright and Andrew Bird. Tuomas Seppälä and Amberian Dawn build their lush sounds with solid rock underpinnings, but his musical role models span genres and time. I’ve been musically inspired by classical composer Frederic Chopin, guitar players like Joe Satriani, Tony MacAlpine, Yngwie Malmsteen, and Vinnie Moore. Also by bands like Deep Purple, Rainbow, Dio, and Abba for example. I like to listen those old bands and maybe some classical music. Piano is still my favorite classical thing. True to her violinist roots, Marcela Bovio uses creative string arrangements to give Stream of Passion its distinctive sound. We stick to the string section and piano sounds instead of using a full orchestra, to keep the sound more compact and leave more room for the “rock” instruments. We’ll achieve a more organic, direct sound by recording a string quartet multiple times and layering the parts. Avery Watts’ live performances stand out for their high-octane blend of symphonic sound and raw rock energy. In the live show, we may have up to a dozen stationary string players on platforms with the two lead performers: Corinne Olsen on viola and violin, and cellist Rick Brandt playing electric instruments. Corinne and Rick actually run all around the stage wirelessly head-banging, singing, and stealing the show for the orchestral realm. While they provide the rock-performance aspect of the show, the other string players (usually up on risers) fill out the sound by performing the bulk of the string music. It’s a great combination of showmanship and classical-meets-rock energy. These artists succeeded in their musical journey by bridging the modern and classical. We asked them what they’d tell you about undertaking your own voyage. Wielded skillfully, classical sound can add great maturity to your music. Tuomas Seppälä encourages experimentation, but cautions against using classical influences recklessly. Avery Watts also sees the infusion of classical and other genres into the secular rock space as healthy, and encourages young musicians to embrace it. I’ve found that the orchestral/rock hybrid is not only a healthy outlet for kids, but helps contribute to breaking down the stereotypical boundaries which may exist between different “tribes” of musicians. When you combine players from unique backgrounds, different upbringings, and different struggles; an entirely new energy begins to form. It’s ultimately gratifying to see a shy string player mingling with a rambunctious punk or petal guitar player and watch them start to become otherwise unlikely friends right before your eyes: That’s the true power of music. It is almost impossible to separate the great history of music from what we do. Decades of American and European orchestra music seeps into the guitar or bass or mandolin we play today. Instruments and harmony and other things are shared across genres. Just don’t be afraid to try. If you read music, start writing things and find musicians who might read through things with you. You might be surprised at how willing these highly trained artists are to try new things with you!